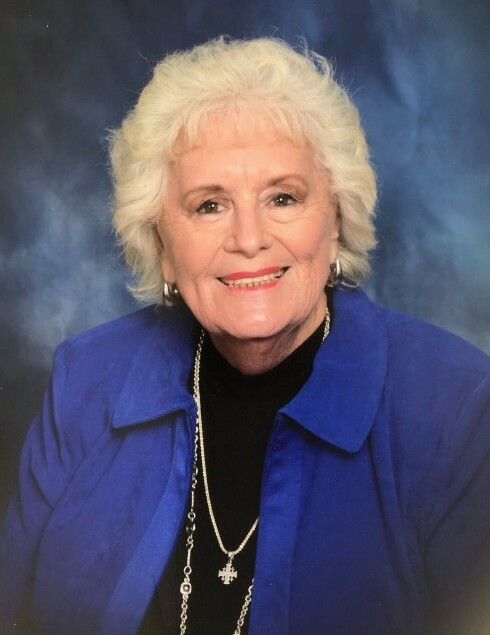 Carolyn Kay Shiplett, 85, of Huntingtown passed away peacefully in her daughters arms on April 8, 2019 surrounded by her family. She was born August 27, 1933 in Roseville, Ohio to Verrill and Daisy (Sagle) Miller. Carolyn was a wonderful women, mother, grandmother, great-grandmother, wife, and sibling. Family was the most important facet in her life. She was married for 54 years before Doc passed 10 years ago. Carolyn was a Christian and instilled the belief of Jesus in her family’s lives. She taught them morals, the difference between right and wrong and to work hard for what you wanted. She always encouraged and helped her family. Carolyn enjoyed traveling all over the world and playing cards with her friends. She loved life and lived it to the fullest. Carolyn was preceded in death by her husband Dale “Doc” Shiplett. She is survived by her daughters Holly Ridgeway and husband Jimmy of Simpsonville, SC and Keely Tolley and husband Greg of Huntingtown, grandchildren Kim Loveless and husband Mike of Hughesville, Brittany Newcomer and husband Joel of Simpsonville, SC, Alyssa Strickland and husband Tony of Chesapeake Beach and Kaitlyn and Cody Tolley of Huntingtown and great-grandchildren Hunter and Morgan Loveless, Anthony and Emma Strickland and Breeleigh Newcomer. Friends and family are invited to a graveside service at 2:00 PM, Sunday, April 14, 2019 at Rose Hill Cemetery in Roseville where Pastor Marc Caton will officiate. You may read the obituary, sign the Online Register Book (Memory Wall) and share a special memory with the Shiplett family at www.goebelfuneralhome.com and Like us on Facebook.